The Jonas bachelors are down to two. 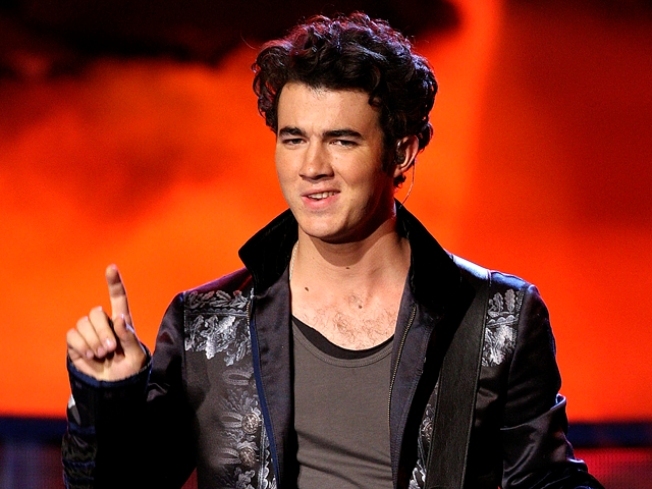 Eldest brother Kevin Jonas tied the knot with Danielle Deleasa on Saturday, according to People. "We're so happy that we're finally married and we were able to share the special moment with family, friends and loved ones," the couple told the mag. The two reportedly wed in Long Island at a French-style chateau, with 400 guests in attendance, including fellow Disney star Demi Lovato. And despite a New York blizzard, the nuptials moved forward as planned. "The snow only made it look more like a winter wonderland," Michael Russo, a celebrity event planner who designed a "fairytale forest" for the event, told the mag. "Danielle looked like a princess. Kevin couldn't stop smiling." The bride reportedly wore a strapless Vera Wang gown, as Kevin's brothers — Joe and Nick — stood by him as his best men. "Kevin has said many times he feels like he met his princess," Michael said of Danielle, who met the Disney rocker in the Bahamas in 2007. "To see them together you can feel the warmth and the love all around them. They are just perfect for each other."